If you regularly make backups of your iPhone, iPad, or iPod touch to the computer with iTunes, you may rarely run into an error when iTunes reports it’s unable to backup the iOS device. This is usually accompanied by a very vague error message like “iTunes could not back up the iPhone “(name)” because the backup could not be saved on the computer”, or a “session failed” message, with a suggestion to disconnect and reconnect the device before trying again. Typically following the alert dialog instructions doesn’t resolve much, so if you do happen to run into an iTunes backup failure, try the following solution to successfully backup the device again. At this point the backup should complete to iTunes as expected. If it doesn’t, move along to the next few set of troubleshooting steps. 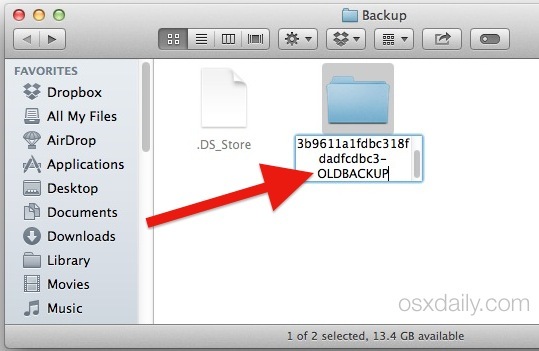 * Typically renaming the backup file is sufficient, but in some situations you may need to make a copy of the existing backup file and move it to another location on the computer, then delete the old (possibly corrupt) backup from iTunes through Preferences > Devices > Delete Backup. Only do this if the above trick doesn’t work, and be sure you make a copy of the existing backup before removing the old one. 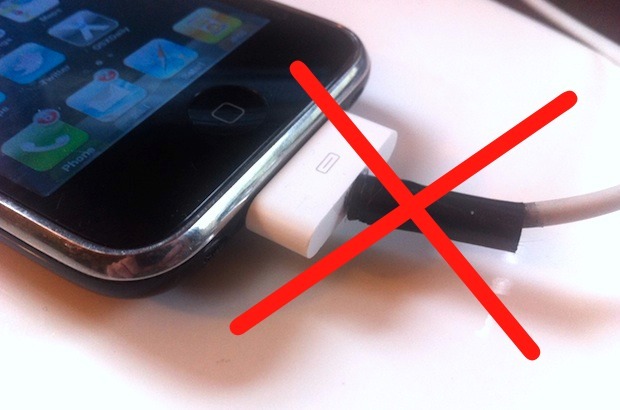 This is particularly true if you have a damaged or fraying iPhone to USB cable adapter that is barely hanging together with some electrical tape or otherwise has wires hanging out. Many of these adapters fail regularly and when they are damaged, they are more likely to experience connection issues with a computer. If your adapter is physically damaged and barely hanging together, getting a new cable is often the solution to many issues pertaining to backups, power, charging, transfers, and much more. 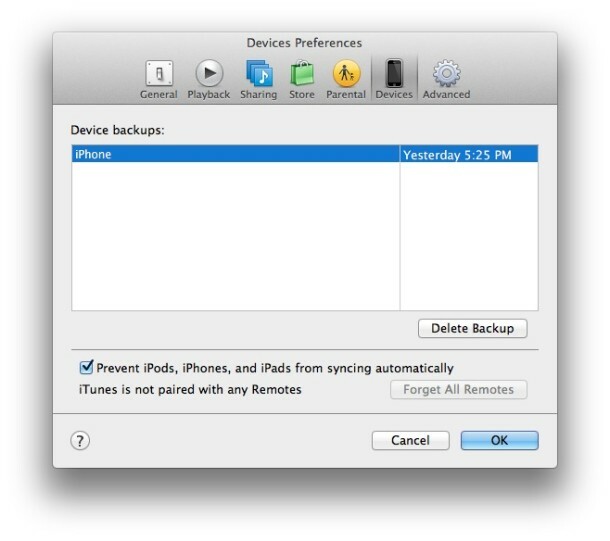 Remember if all else fails you can backup the iPhone, iPad, or iPod touch to iCloud directly from a device. It only needs to be plugged into a power source and have an iCloud account setup and configured in iOS, then starting a backup to iCloud is just a matter of going to Settings > iCloud and starting a backup to Apple’s iCloud servers. It’s fast, efficient, and almost always works, particularly when iTunes is being finicky or just outright failing. Thanks buddy. I had the “iTunes could not backup because the iPhone disconnected” Error.. Turned out deleting the old backups cleared it up. I think the backups I had present were likely copied over from my machine’s previous setup and perhaps enough had changed in my iTunes settings to cause something to disconnect.. It might have been encryption related, like the old backups having a different password. I HAD tried to make new unencrypted backups, but if the old were encrypted, I can imagine how turning it off wouldn’t actually solve anything. Thanks again. Thank you for the free info. fixed my issue with the renaming of the backup file! step 2 worked for me! thanks for your post! Worked for me, thank you. My iPad was incorrectly deemed disconnected. I found the relevant back-up folder (in the path listed above on my Mac, but after “Macintosh HD/Users/Jonathan/Library …”) and renamed the folder, not the files in it. Just came back to see how to do it again! I had nothing to lose.. my last backup was like a year ago.. but basically step 2 fixed the problem. Thanks , really appreciate this!!!!!!!!!!!! It worked with me by deleting old backup files . I deleted the recommended files, but still got the same disconnect message. I ended up plugging into the usb plug on the back of the computer instead of the front and the backups were successful. I had the same problem. Found your article but couldn’t resolve the problem with any of your tips. Then I remembered that I changed to “encrypted” backups a few months ago and that the problem likely occurred after starting these encrypted backups. I thus deactivated the “encrypted” backup and was finally able to run a complete “normal” or “standard non-encrypted backup”. I’ve had this problem *forever* on my mac. The problem was that my ~/Library/ApplicationSupport/MobileSync/ folder was an alias that pointed to nothing. I have *no idea* how that happened. I deleted the “folder” and then I was able to backup no problem. I would never have tried this if it hadn’t been for your step #2. Well, i wasted at least 8 hours trying to get a backup but it kept giving the the ‘dissconnect’ error, sure enough i had a cable with tape on it LOL !!!! Switched cable & BOOOOOOOOOOOOM! 1st backup good! Thanks man!!!!!!!!!!!! Where do I donate???? I tried everything on this list, and continue to get an error message. It will make a new backup file folder (empty) in the backup folder, but that’s it. Won’t back up to cloud, either. Ran the itunes diagnostics, showed no problems. Any other ideas? I’ve tried everything recommended here but the iCloud backup which required my buying the 200gb plan. So i’m running that backup now to see what happens. If that doesn’t work then I really don’t know what to do other than the final matter of erasing the iphone, which I clearly don’t want to do as my 128gb iphone 6 has about 110 gigs on it. This is very frustrating because I’ve never had this problem with any other iphone. I’m running the latest Yosemite and the latest iTunes version. My iphone has the latest iOS as well. I’ve tried different usb cords, usb ports and different computers but all to no avail. It backups step 1 and 2 but when it starts step 3, that’s when the popup message occurs: “iTunes could not back up the iPhone “***” because the iPhone disconnected” I know it’s not my computers, cords or usb ports as I’ve backed up my family’s iPhones with the same computers, cords and ports. The only thing I haven’t tried, other than erasing my iphone, is to try backing it up to iTunes running in the Widows environment on my macs. I’m exhausted from this. I thought I left all this crap behind me when I left Windows years ago. OMG Step 2 worked! I tried just about everything except for restoring to factory settings….thank you so much! Indeed, the entire folder /var/mobile was gone! I have looked in my Time Machine all the way back and it looks as if it was never there in the first place. It may be due to some app that I installed in the past two weeks since the last successful backup. Can anyone interpret this from the log? 12/09/2015 22:15:53.000 kernel: SepNdcStream_inspectData: ndc_buffer_submit failed (-34)SepNdcStream_inspectData: ndc_buffer_submit failed (-60)Vulnerability Protection encountered an error (-60). 12/09/2015 22:16:01.000 kernel: SepNdcStream_inspectData: ndc_buffer_submit failed (-34)SepNdcStream_inspectData: ndc_buffer_submit failed (-60)Vulnerability Protection encountered an error (-60). Problem resolved. In Settings -> General -> Usage -> Manage Storage, there was one null app that kept popping back up like a bad penny, however much I deleted it. The clue was that it had version number 5.0.1, even though there wasn’t an icon or a name. This allowed me to identify the app through the Xcode log file. I tried installing a fresh download. Although this didn’t succeed, I hard-reset the phone and the null app was gone. Backups now succeed again, finally. Whew. Immo what app was that please and how do I find null apps ? Thank you! I was at my wit’s end until I saw your comment. I had to redownload the app in order to delete it, but it worked. This also fixed the issue of my phone not syncing over wifi. 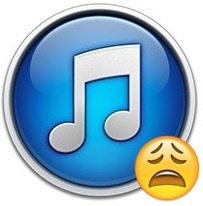 Closed ITunes then disconnected iPhone & deleted old backup in finder. Then deleted ALL contents in lockdown folder but NOT the folder itself (this is VERY important), then rebooted BOTH my MBA & my iPhone 6 Plus & THEN re-connected my iPhone & then (and this is KEY RIGHT HERE I canNOT stress this enough) PUT IPHONE IN AIRPLANE MODE. Then & ONLY then was I FINALLY able to perform a backup (twice now after after just over 14 hours of not once) with NO errors!! The issue seems to be in the network settings interfering with the iPhones’ ability to stay connected to iTunes via your USB port. I hope this works for those like myself whom had been BEYOND frustrated with this issue but still loves our iPhones as much as we do! My problem was caused by a dummy app, I removed it through iPhone’s SETTING, GENERAL, USAGE, MANAGE USAGE. Look for empty app name or blank icon. Remove the app. Try to backup again, if fail again, check for the LOG of your iTunes. c) For my case, this App ” 8E726549-3ED1-4171-818A-12B66843C156 ” caused the problem. So I just browse into my iPhone’s directory using iExplorer, and create a folder with the same name. Note: My iPhone is jailbroken. Then I manage to backup my phone. Note: If you see similar error message, thats mean it’s caused by an APP. Just try to delete more app and try to backup again. Thanks for informative stuff, numbers of users from our group are appreciated the way described here. has anyone experienced not getting an old iphone (i.e., 1st gen) backed up for reasons other than a corrupt backup data? is it quite likely that an old iphone will now appear to be incompatible with the new version of iTunes. How come Apple would do such a thing to completely take out backwards compatibility? I cannot find mobileSync in Application Support folder in Mac air. What should I do as I cannot back up my iphone6. I have the same issue. Updated iTunes, will try a different cable, but cannot locate this folder at all in the Application Support. Dear All – I need desperate help. When backing up my device on iTunes Windows 7 I am getting an error message that there is no enough memory while my laptop has lots of space. The other issue by default it is ticking the encryption option and I can’t change it. Thank you so much. The step one worked for me. Thank you again! I get this error every time. Tried all of the above suggested solutions. Multiple times. I found that restarting the phone solves the issue, once. If i want/need another backup (two hours later, or another day) it won’t work unless i restart the phone and sync/backup immediately. Any suggestions? Aha–reading the comments helped me get past a very long-standing issue with “cannot sync due to an error”. I had NO backups on my computer at all, and was getting the error when trying to back up any iDevice. and saw an Alias (to a Backup folder). That alias was broken. It shouldn’t be an alias at all. I deleted the broken alias and now syncing works! If you can see your iphone listed in Itunes, but it won’t back up, found an easy solution, so simple it fixed my problem, thanks to a Mac person at Geeksquad, which took all of 5 minutes. In Itunes, Uncheck “Encrypt Iphone back up” box. If you have Geeksquad, and the first person doesn’t know jack about what they are doing and tells you to take your computer in, try a second technician. The first person spent an hour on my computer and it was clear the person had no clue. She told me it couldn’t be fixed. I tried a second technician, he was genius! I fixed my issue today. Our iPhone 5 with 32 gigs had no issue syncing or backing up; however or iPhone 6 with 128 gig was causing the “lack of disk space” error message. I emptied my trash bin freeing up 30 gigs but still no luck. After doing some research, I deleted the last backup of the iPhone 6 as some users said it may be corrupted. Once I did that, I was able to do a backup on Iphone6. Then I was able to sync with no issue! Hope this helps some of you. Good luck. Just disappointed that Apple does not help at all!!!!! None of your recommendations worked. Totally bummed. Any other suggestions? This was a huge help! thank you so much! I tried all what is in the list here didn’t work for me, i am still confused what to do, the problem is not from the port or cables because itried bakingup another iphone and it went well!! Step 2 worked for me! None of these solutions worked for me. Any other options other than repeating the same thing? I am finding that the iPad USB in Preferences>Network>iPad USB Self-Assigned IP isn’t loading so this stops all backing up of iPhones and iPads, so I have has to use a 3rd party app to get the backups. I was having no luck with iCloud backup and kept getting the disconnect error with iTunes. Instead of deleting my old backup, I right clicked on them and chose Archive. Now it’s sailing right along backing up. Side note, I like to keep old backups of my iPhone when it was on older different versions of iOS but iTunes overwrites the old backup with the new. To prevent this, I rename my iPhone in Settings—> General—> About with every major iOS change to reflect the change. So instead of the ‘Floyd’s iPhone’ file being overwritten with each backup, I have an archive of numerous backups with names like “Floyd’s iPhone iOS 9,” “Floyd’s iPhone iOS 10.3.3,” or “Floyd’s iPhone iOS 11.” That way if I ever need to data from the old backups I can use something like iExplorer to get it.